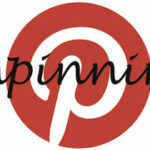 Pinterest activity seemed to slow down there for a little while, but with the approaching holiday season, I predict that the pins will be flying fast and furious. I’ve started a new pinboard for the season myself, Visions of Sugarplums, so check that out if you want a sneak peek at special things I’m thinking about for Yule! And now, on to the newest pins! This was a hard one to track down the source on! 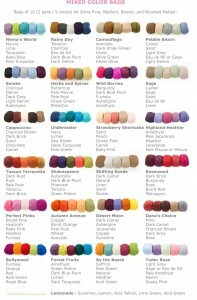 The Mixed Bag Color Chart from Be Sweet Yarns is on page 22 of the new pdf catalog, and it’s full of inspiration! I’ve never heard of this yarn company before, but poking around I like what I see. 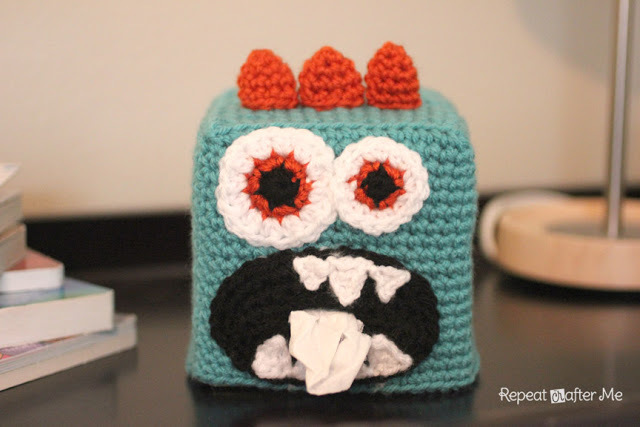 Inside this fun free pattern for a Day of the Dead Banner on Crochet Parfait is a hidden gem – a few photos that illustrate perfectly how to cross stitch on top of crochet! This is a great technique for adding small details to a larger piece. 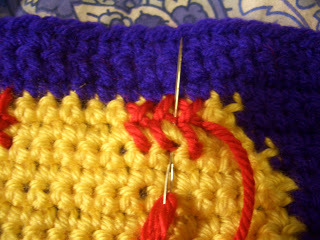 If you haven’t already experienced the KnitPro tool from Knitwear Patterns, you are in for a treat. 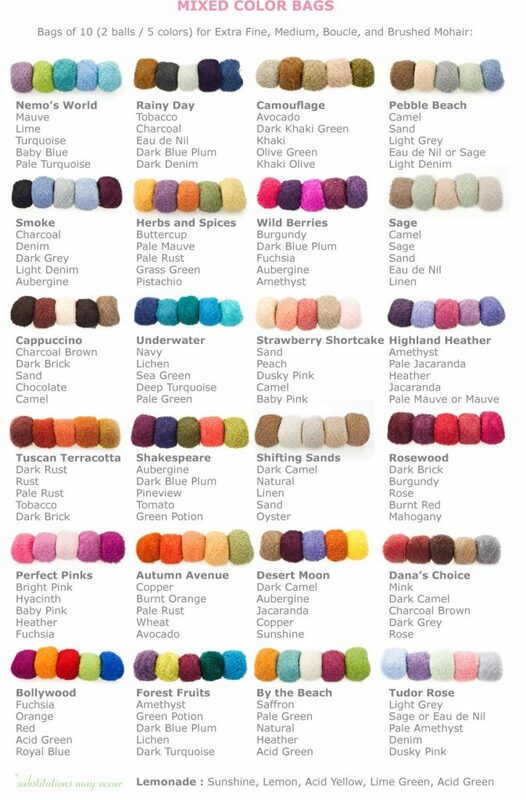 And it isn’t just for knitters – it works for crochet, needlepoint, and embroidery too. 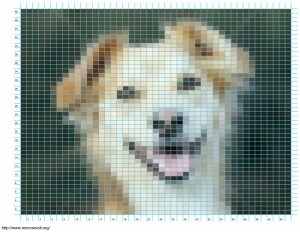 It’s a great free way to turn your favorite photo, logo, drawing, etc into a stitch pattern! Imagine the fun you can have with this one! The site is in Russian, but this idea from natkissa needs no translation. 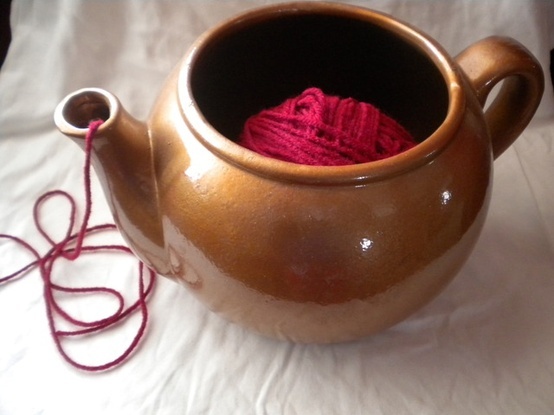 I know I’ve got a couple of pretty teapots sitting around – time to put them to good use! 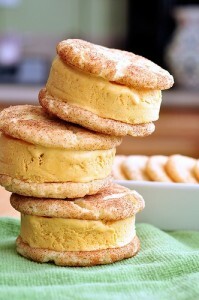 *BONUS PIN* I made these Snickerdoodle Pumpkin Ice Cream Sandwiches for my crochet group, and they were a HUGE hit. I don’t know that mine came out quite as prettily as the ones in the photo from Pennies on a Platter, but I bet they tasted just as good! 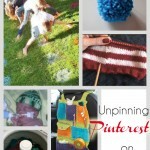 That’s it for Unpinning Pinterest this week! 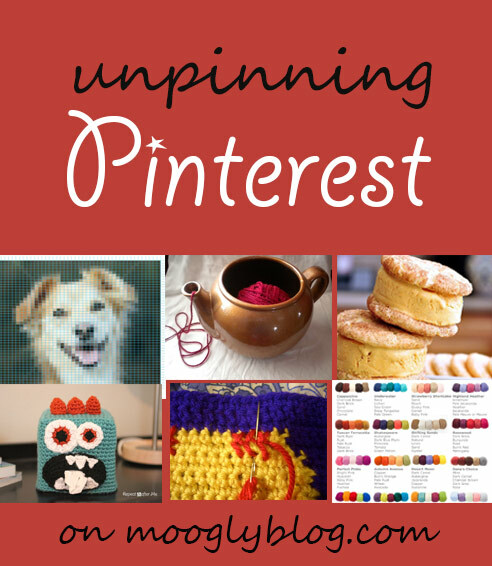 What great pins have you found, or what would you pin if you were a pinner? 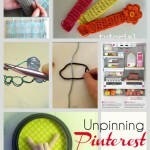 How many pins would an unpinner pin if an unpinner only did pinterest? Er…. till next time! I’ll bet! It’s definitely on my to-do list! Wow, I love love love that yarn bowl alternative! The link to the knit pro tool seems to have expired. I found this ‘replacement’. hello, please i am carrying out a research on mosaic tiles. the dog’s picture i saw here actually caught my attention, i just like you to provide me with more information on how it was achieved. thanks. I like to use the cardboard oatmeal canisters with plastic lids to put my large, oblong skeins in. I cut a hole in the top of the lid for the yarn to come out!